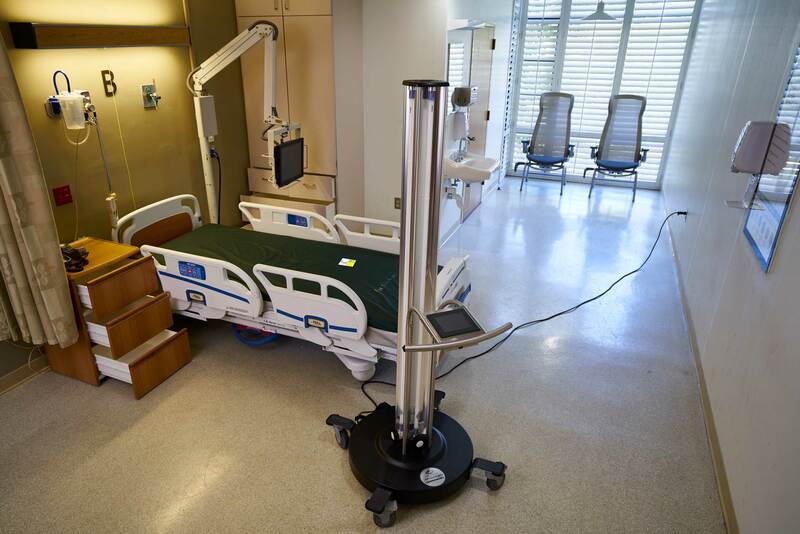 Do you know what UV-C Dose Levels Have Reached Your Targeted Surfaces? 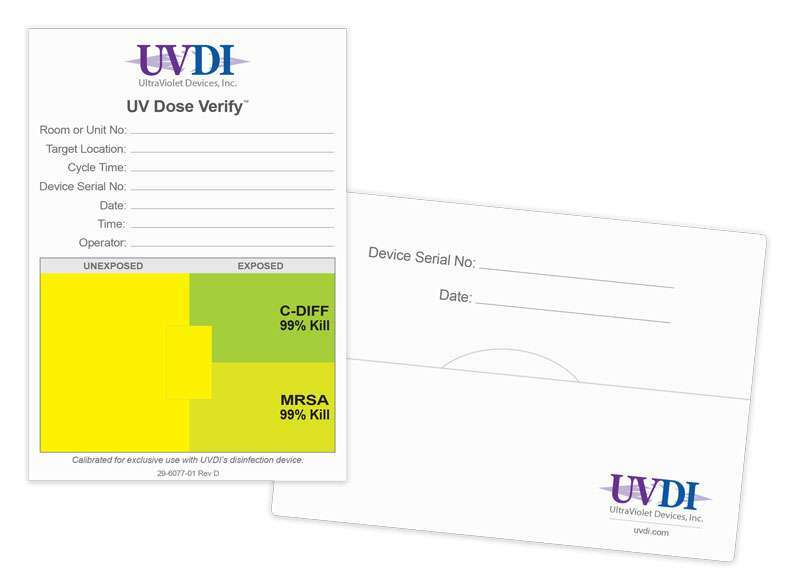 The UV Dose Verify technology eliminates guesswork in determining whether sufficient UV-C dose levels have reached targeted surfaces. UV-C sensitive rectangle located in the center of the card changes color when exposed to UV-C energy. The color change is calibrated to specific germicidal dose levels. Independent laboratory testing validated color change associated with 2 log (99%) reduction for MRSA and C. difficile.